As gold rises in investment popularity the prices per ounce will also rise. It is suggested that investors and individuals in Asian countries look into purchasing gold while the gold rate in India and other Asian and European countries are affordable. Caution still dominates the market in Asian countries in regards to purchasing gold bullion, however. The spot gold rate in USA markets fell to USD $1560 and this lower price began a physical demand. If gold prices and the value of the USD raise worldwide gold trading will again fall. The gold price per ounce in the Pacific Rim or Asian countries including India is also a reflection of demand, USA dollar value, and availability. In Singapore gold listed at .80 cents to the USD per ounce above London prices. Hong Kong markets were steady with the price of an ounce of gold the same as US prices. 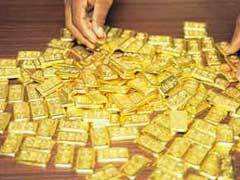 The gold price in India today as per market research hit a record high of Rs 30428 per 10 grams. It is predicted that India’s demand for gold will rise during September when the Diwali festival and wedding season begins and then the gold rate in India will definitely rise. To follow the fluctuating gold rate in India you can use Kitco.com and specify India. Trading charts list 1 USD = Rs 55.63 and gold is listed in 24K, 22K, 20K, 18K and 16K. Using gold price charts, today 16K is selling at Rs 1898.13 and this equals to USD 33.9948. Gold prices do vary across India since there are no guidelines in India for calculating the MRP of gold. India has a higher demand for gold than other Asian countries with 27 percent of the world jewelry gold being used in India. As a result, demand for gold often drives the price of gold up, but devaluation of the US dollar keeps the gold rate in India and other Asia countries at a similar rate. Basically, the quality and gold content determines the cost and the cost of gold does not vary to a large degree across Asian countries. Other investment tools for gold include exchange-traded funds or paper gold investments. This is a very viable way to trade gold if you are a small investor and do not want to physically store gold bullion. Paper gold investment in India is becoming more popular as actual transportation and storage costs rise, but Indian investors still prefer to trade in physical inventories of gold due to the jewelry market.